Some people are foodies, some are theme park enthusiasts. Do the two go together? They do at Dollywood! 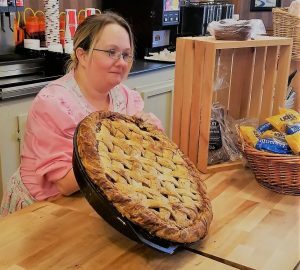 Dollywood boasts eight restaurants, a bakery and sandwich shop, a sweet shop, a food truck and a multitude of grab and go options across 150 acres. Among those choices you can find something for even the most discerning palates. 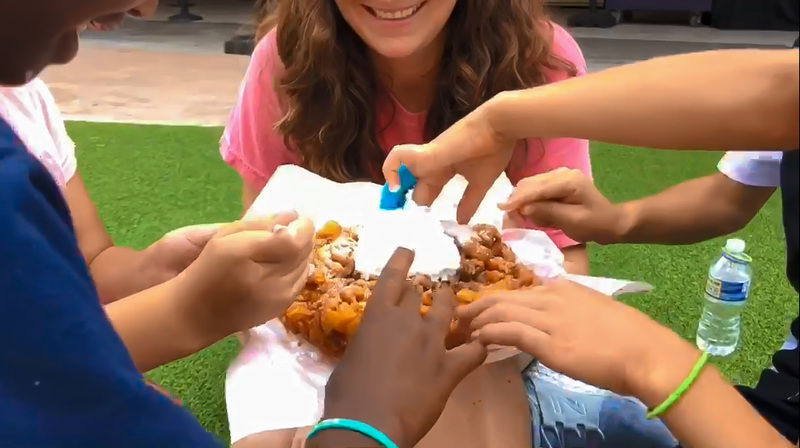 And if you’re not sure if you want theme park food, think again. 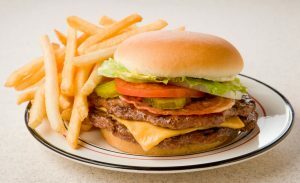 You can choose from full-service restaurants to buffets and quick service stands. 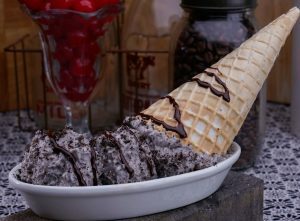 Honestly, a big reason I look forward to my Dollywood visits is because of the food! If I have to choose a favorite, it would be Aunt Granny’s. 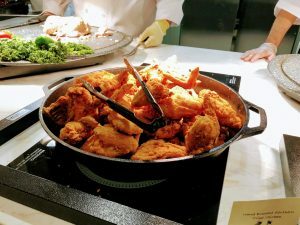 For a southern-style buffet, this place has it all and easy on the wallet because its price is all-inclusive. 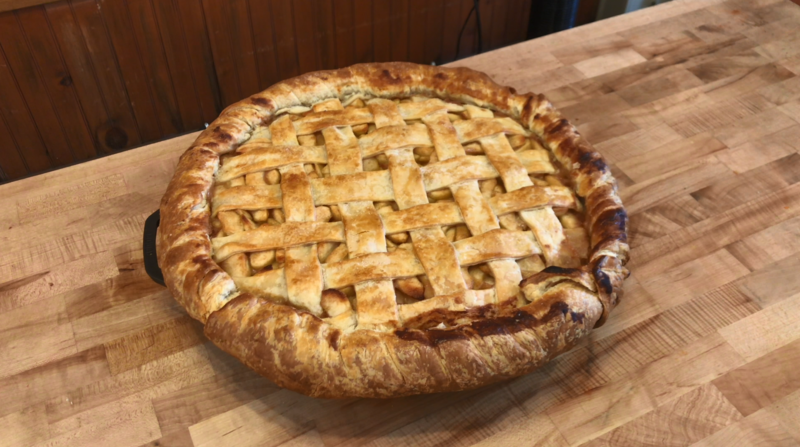 Name your favorite Sunday-supper-items and you’ll find it at Aunt Granny’s: mashed potatoes, gravy, fried chicken, stew, cornbread, biscuits, salad, and new this year—carving stations! 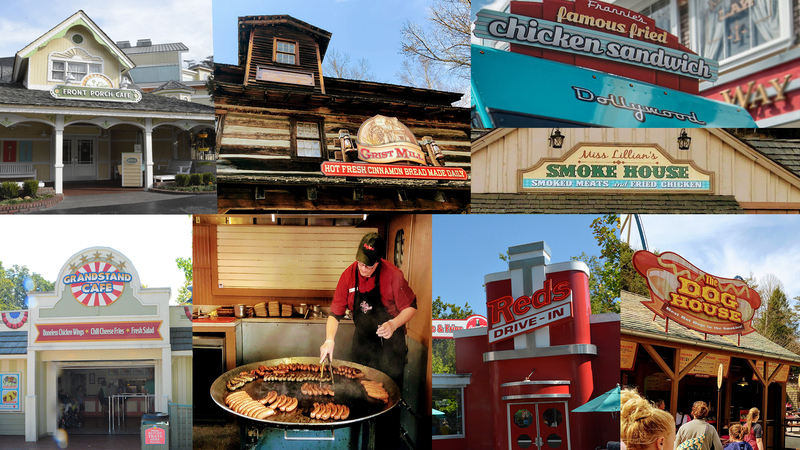 The all-you-care-to eat buffet is a great stop for a hearty meal while enjoying Dollywood. I love this buffet because it’s been there since the park first opened, but there’s another buffet that’s just as good. 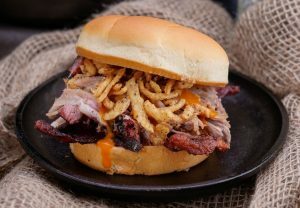 If you sit down for a meal at Miss Lillian’s Smokehouse, you’re likely to get some entertainment with your food! Miss Lillian loves to interact with her guests. 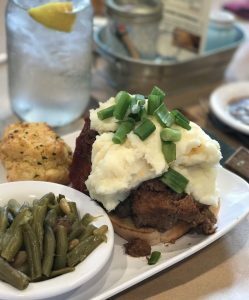 For a chance to order off a menu, I would encourage you to stop in at Front Porch Café. Here, you’ll find hearty appetizers, one of Dolly’s favorite entrées (ribs! ), and one of the best banana pudding recipes around. Last time I came, we had a group of eight and we chose three different appetizers. None of that food went to waste. Our favorite: the garlic cheese biscuits. If you have kids in tow, the chicken strips and fries are quite tasty. They also have sandwiches and salads, which I love. You’ll probably pick up on it from the farmhouse décor; this locale in particular is very intentional about using lots of local produce. 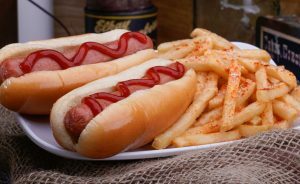 Front Porch is a great go-to if anyone in your party has food allergies or sensitivities. 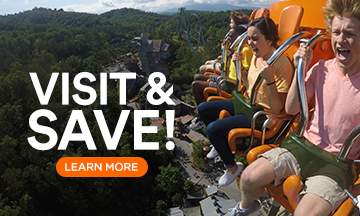 What’s endearing about Dollywood is the way the park embraces its Appalachian roots. 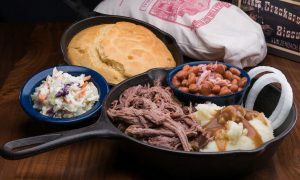 Visit Granny Ogle’s Ham ‘n’ Beans and you’ll get cornbread brought to your table in a cast iron skillet. I love the feeling of being at grandma’s enjoying a home-cooked meal and then jumping on a ride or seeing a show. Not many places can offer you all that in one place! I’ve noticed Red’s Drive-In is a popular dining option for families. And, rightfully so! Red’s is a nod to the spot where Dolly Parton had her first hamburger. It’s only fitting that this Dollywood throwback crafts delicious burgers and thick milkshakes. I appreciate that you get to “dress” your own burger and the fact that the menu offers salads, too. For me, the atmosphere seals the deal: classic cars out front, 50s/60s music playing in the background, and the hostesses wear poodle skirts! Photo ops and memories are ready to order. 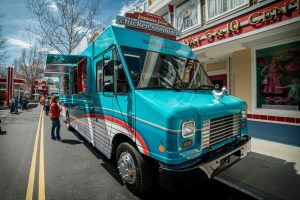 One of Dollywood’s newcomers in the dining arena is Frannie’s Famous Fried Chicken Sandwich food truck. 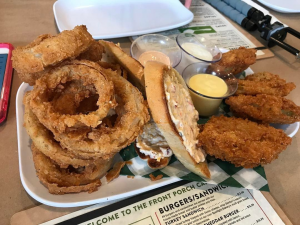 This venue has quickly become a guest favorite with its offerings of crinkle-cut fries and fried chicken sandwiches that rival the best in the business! Frannie’s grab-and-go option should be on your list for a quick fix for lunch or dinner. You won’t be hungry when you’re done! 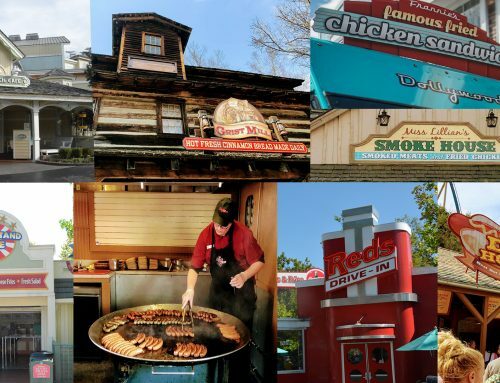 If pizza is on your mind, you have a couple options at Dollywood. Victoria’s Pizza has been one of my daughters’ favorites since they were little. We usually order personal pizzas with a side of breadsticks. The breadsticks are buttery with a touch of garlic, soft and hot, and the pizza has just the right amount of cheese. You can even grab a sandwich or salad. The second option is Lumber Jack’s Pizza. This is a wood-fired pizza. The veggie is my favorite. I love the location of Lumber Jack’s because it’s close to the action of several rides for thrill seekers and kids. You can’t walk through Dollywood’s Market Square without coveting what’s on the BIG SKILLET™. But, there’s good news—you don’t have to covet. Just get in line and buy your own! Simply standing in line is delightful for your nose. Choose either a sausage or steak sandwich. The skillets are unique to Dollywood—they’re actually made at the park! I’d be remiss if I neglected to tell you about the barbecue options. Southern cooking and barbecue do go hand-in-hand, after all. 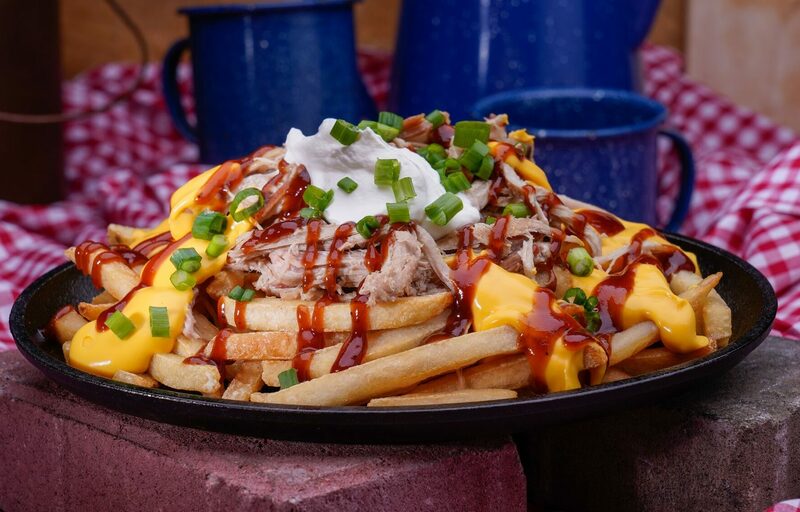 Whether it’s a turkey leg you’re hankering for (Miss Lillian’s Bar-B-Q Corner), or a sandwich piled high with pulled pork (Hickory House Bar-B-Q), you can satisfy your cravings for savory and saucy at Dollywood. When it’s snack time, the first place my daughters think of is the Grist Mill. As you approach, you will immediately smell what the fuss is all about. 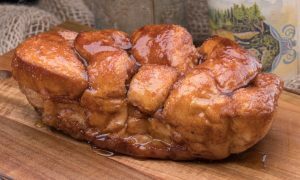 The Cinnamon Bread is ooey, gooey, cinnamon goodness. The hosts in the Grist Mill bake loaves of this sinfully-sweet bread all day long. Be sure to get in line because they are constantly bringing out fresh loaves. You can watch them make more while you are waiting. You can buy other sweet treats at the Grist Mill, but I know people who swear the cinnamon bread is worth the price of admission! 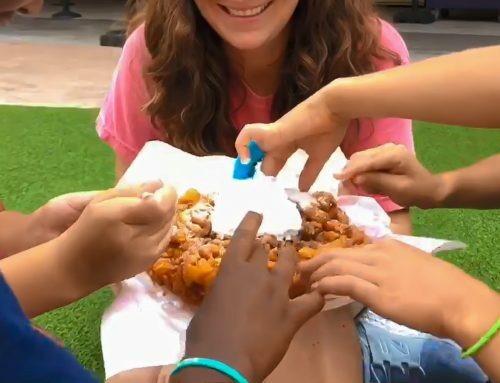 When you visit a theme park, you may just want to go the traditional route- corn dogs and funnel cakes! 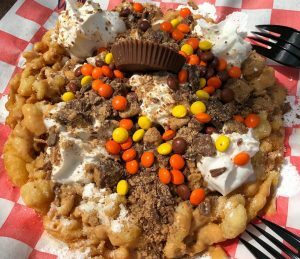 If that’s you, then I would encourage you to check out the foot longs and big, curly fries at Dogs N Taters and the seasonal specialties at Crossroads Funnel Cakes. If you’re visiting with young children, you will probably find yourself in the Country Fair area. 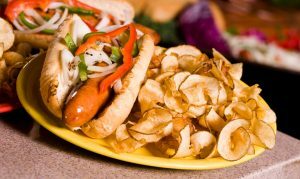 Use that opportunity to check out what’s on the menu at Grandstand Café. There’s plenty of options for even picky eaters. 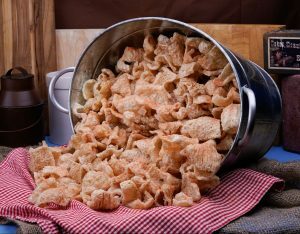 Other popular snacks include Dollywood’s Kettle Corn and Pork Rinds. My last food recommendation is don’t miss your dessert! There are a couple of options you can hit on your way out. First, I’ll tell you about the Sweet Shoppe and Candy Kitchen. You can watch master craftsmen at work making fudge or taffy, or some other delectable goodness. 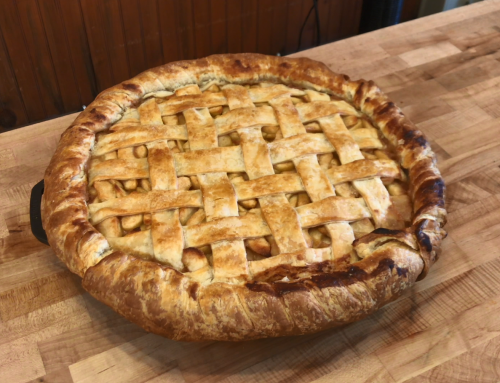 But then you’re going to want to eat it, so be prepared to look high and low through all the display cases to find the tastiest treat. 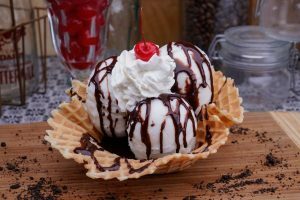 On the other side of the building (smell your way to the waffle cones), you can get ice cream cones, banana splits and milkshakes. There is no wrong answer here. The second option is Spotlight Bakery and Sandwich Shop. Yes, they make a mean Italian sandwich, but I want to be sure you know about their 25 lb. apple pie and their cinnamon buns the size of my face. 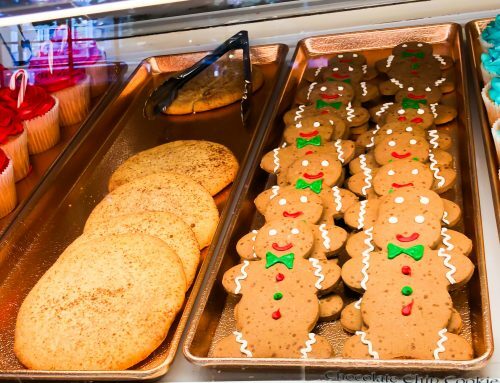 This bakery has plenty of seasonal yummies as well as items you can find year-round, making this place a fail-safe stop to end your day. Even with as much as I’ve told you, this is not an all-inclusive list. 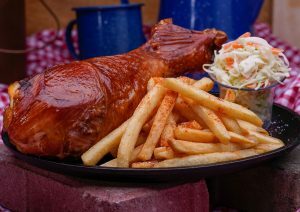 That just reinforces my belief that Dollywood IS a foodie’s dream! Stacy Holstine (Dollywood Insider 2017-2018), of Charleston, West Virginia, is married to her high school sweetheart and they have two grown daughters and four dogs. She is a registered nurse who has been visiting the Great Smoky Mountains since her childhood and fondly remembers traveling with her grandparents and parents. 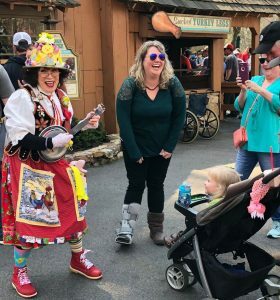 They visited Silver Dollar City and ultimately, Dollywood. She and her husband have continued this tradition with their family. Stacy is excited to share the tips and secrets she has learned over the years, to help you have an enjoyable time at the Dollywood properties with your loved ones.